On Tuesday 2nd August 2016, at about 8.30am, troops of Operation LAFIYA DOLE with assistance of Vigilantes on routine checks, identified and arrested a high profile suspected Boko Haram terrorist, Mohammed Mohammed Zauro at Sabon Gari, Damboa LGA Borno, the Nigeria Army reports on its official website. was arrested as he was trying to flee to Birnin Kebbi, Kebbi State, from Sambisa forest. 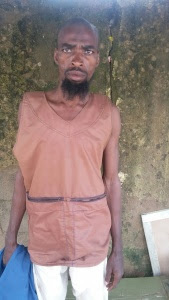 The troops recovered a Gionee brand of mobile telephone handset and a fake SAIE/JIBWIS identification card to perfect his escape and the sum of N7,900.00k. Similarly, troops also intercepted another suspected Boko Haram terrorist, Lawal Aboi, along Damboa Bale road. According to the suspect, he was on his way to voluntarily surrender to the troops in Damboa because he was tired of fighting for no just cause. Both suspects are being further interrogated. You are please requested to kindly disseminate this information to the public through your medium.